6. Cashback will credited in your PayZapp wallet within few days. 1. Scan the QR code on TV Screen (Press home button on Airtel DTH remote and Select ‘Account Summary’) using PayZapp App. 6. 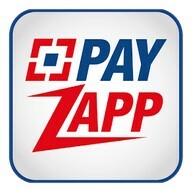 Offer applicable for all PayZapp registered users. 15. The cash back amounts shall be over and above any discount that may be provided by the merchant during the promotion period. 16. In case of any dispute with a Promotion Cardholder the decision of the Promotion Partner shall be final and binding.